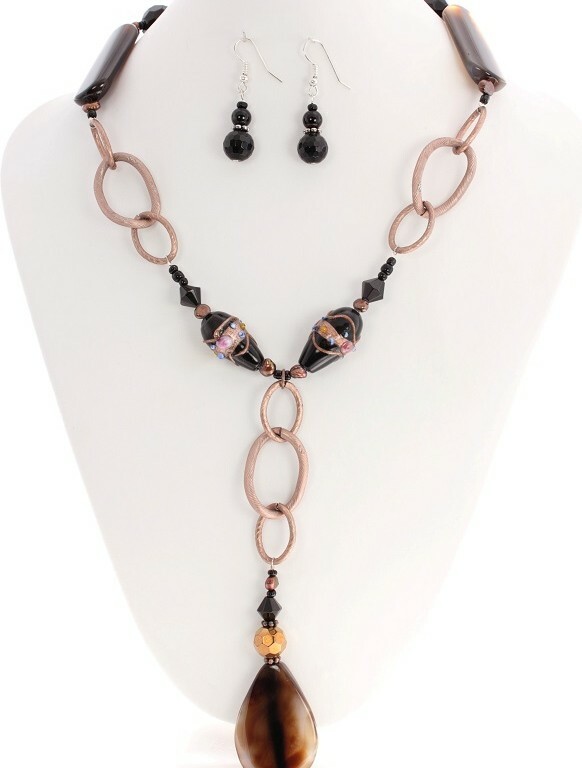 Beautiful Opal Agate Stone Necklace with Fresh Water Pearls, Black Venetian Glass and Copper. This is a very artistic Gemstone Necklace and one of Chanel’s favourite pieces. Its different and fun and the large chain links are very flattering against the skin. This Gemstone Necklace looks particularly beautiful when worn with black.